Erika thank you for all your hard work! Amazing Service - Highly Recommend!! 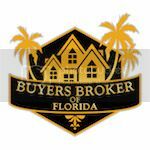 Buyers Broker of Florida is a premier Exclusive Buyer Agency office serving Central Florida. They represent only home buyers with expertise, saving them time, money and effort. Call a friendly Buyer Broker for a complimentary phone consultation.